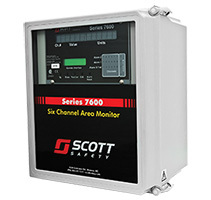 CONTROLLERS – 7600 SERIES| Safety Equipment– SOS Safety Int. Inc. 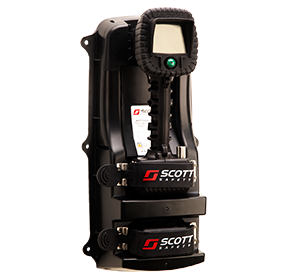 The 7600 Controller utilizes a scaleable, modular design to integrate easily with up to 6 gas or flame detectors and is available in a fiberglass NEMA-4Xenclosure. 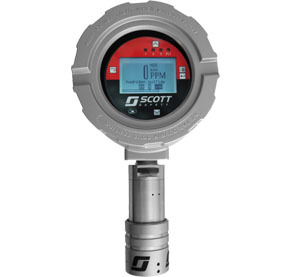 The 7600 Controller centralizes the display and alarm processing functions in critical multi-point gas and flame detection applications. its modular design integrates easily with up to 6 gas or flame detectors and is available in a fiberglass NEMA-4X enclosure, a cast aluminum NEMA-7 explosion proof enclosure, as well as panel mount and 19″ rack mount configurations. as your needs grow, the drop-in i/o boards of the 7600 controller make upgrading the unit in the field quick and inexpensive. Robust analog and MODBUS I/O capabilities. 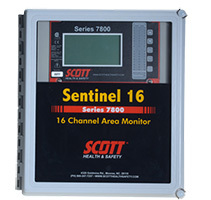 depending on the specific configuration chosen, the 7600 Controller can accept four different types of programmable alarms include on/off delays, rising and falling operation, and can be operationally “zoned” in accordance with each facility’s integration needs. The 7600 Controller features a modular plug circuit board design.